Invitations are given to all who are working professionally in the pedagogical field in the Schoenstatt Movement, and/or who want to be involved in this field. 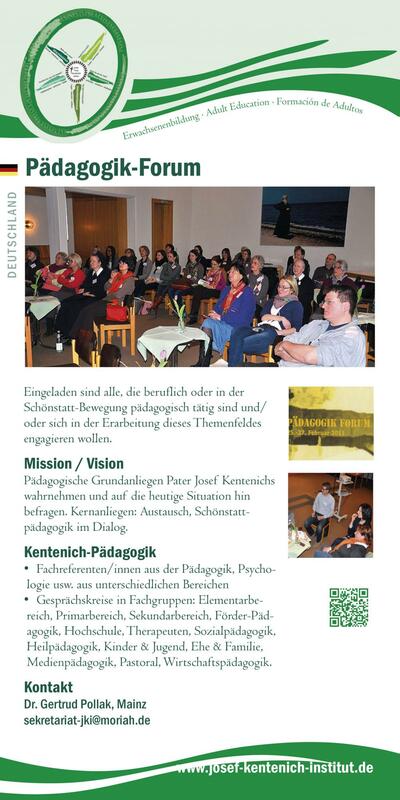 To discover Fr Kentenich‘s basic pedagogical objectives and to study them in relation to circumstances today. Exchange. cultivate contact, work on the subject matter, artistic incentives, prayer and recharging one‘s batteries are all on the programme.